After walking 12 miles in the frigid Wisconsin weather, Kyle was able to come out with some bone in his hands. The two hour walked turned up four shed antlers and boy, were they beauties. Keep scrolling and click through to see more photos! Kyle and a friend walked for over two hours and ended up finding the two sheds that were not a match within 40 yards of each other. While they were walking back to his truck, two feet away from his boot print, he saw another antler sticking up. 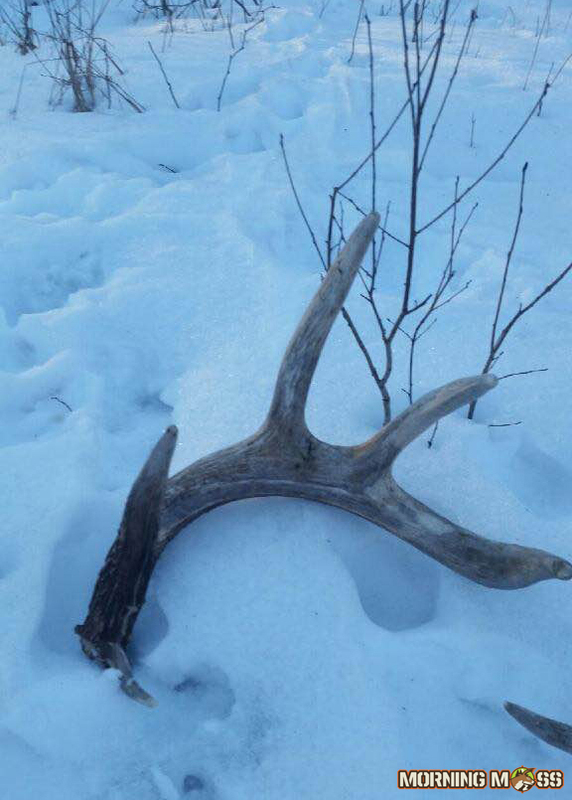 This turned out to be a big antler and the match was right by it! 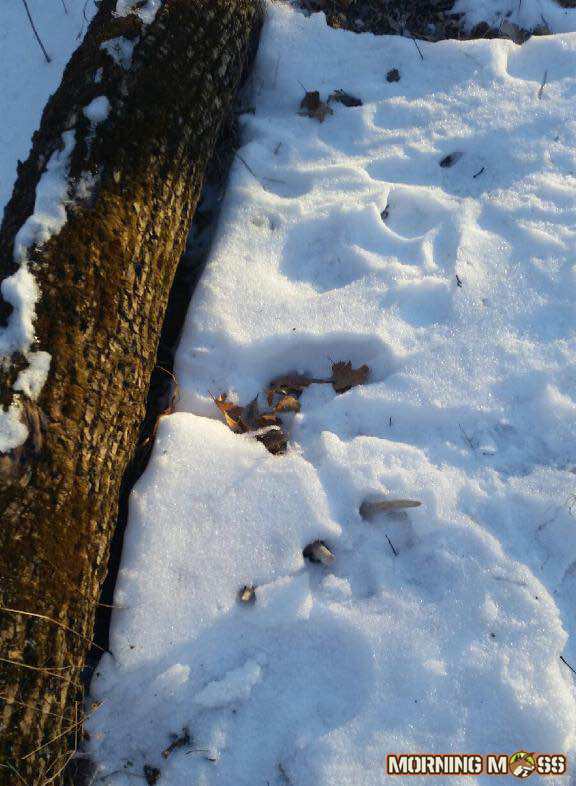 Can you pick out the big shed antler in this photo? Shouldn’t be too hard with the size of this one! 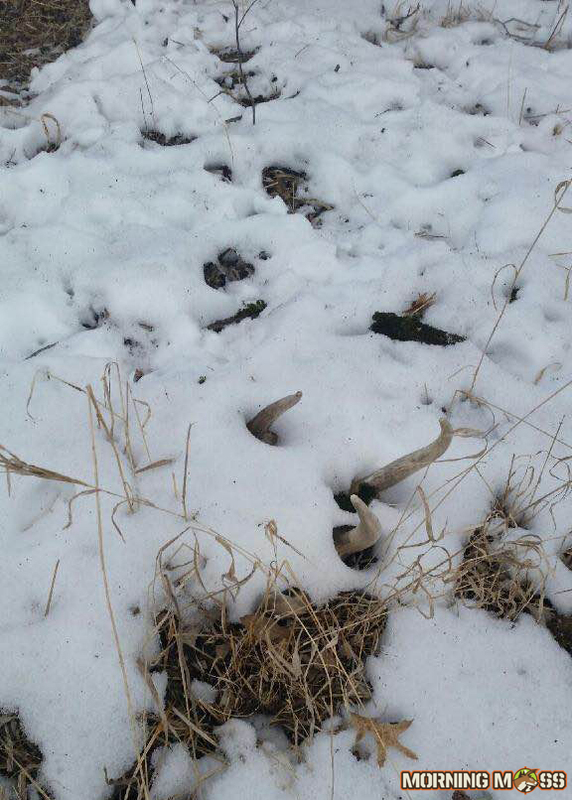 Shed antlers can be tough to find but once you have an eye for them, you can easily pick them out of the snow. 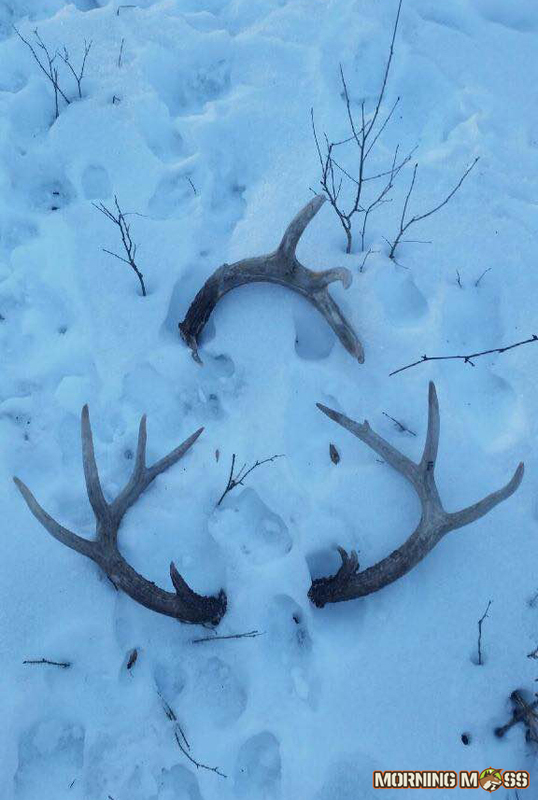 The antlers to the matched set look to be about a 125-130 inch class buck and the other larger single shed could be to a 140 inch class buck if they could find the other antler. His friend John is a big shed hunter and both of the guys were pumped about their luck.